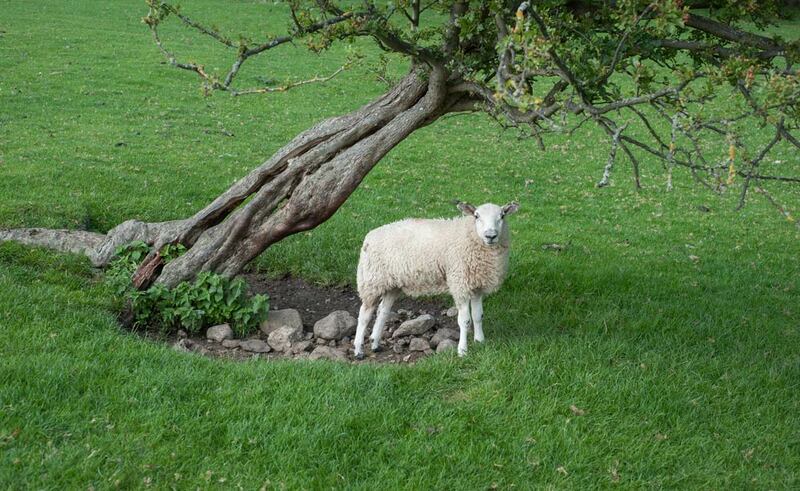 An old, bent Hawthorn and a young, unbent sheep – click for a larger version. Now that is one TOUGH Hawthorn! D’you know about Hawthorn, David? Yes, hawthorn is one of my favourites with its twisty branches and characterful trunk. They have been planted in hedges in the UK for centuries and there are superstitions about them – like never bringing the May blossom indoors and not changing to summer clothing until the blossom is out.